Cypress's and Terasic's PSoC Thermal Management Expansion Board Kit (TME) uses the PSoC Programmable System-on-Chip architectures in providing you with the most flexible, powerful, and full-featured thermal management solution available in the market. 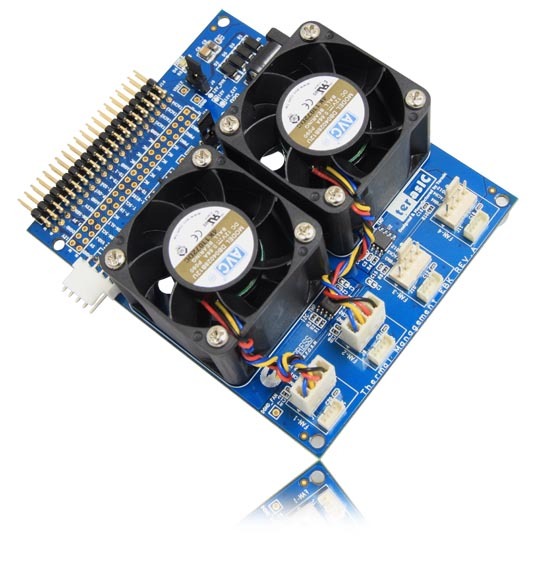 The TME kit enables you to independently control up to 4 fans, monitor a variety of analog and digital temperature sensors, and gives you the ability to implement advanced thermal control algorithms resulting in less burden on the host application processor. Discover how to reduce power consumption, increase thermal system reliability, reduce fan acoustic noise and reduce cost through component integration through the use of this kit and the software tools provided.